Non-competition agreements can be part of an employment relationship when an employer wishes to protect certain business interests, like trade secrets. 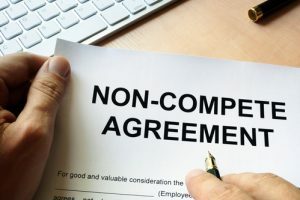 Also known a non-compete agreement or a covenant not to compete, a non-competition agreement can be a term of an employment contract, or it can exist as a stand-alone contract. While the details of these agreements vary widely, Colorado law sets strict terms for when they are and are not enforceable. Understanding these terms and your rights under Colorado law can be important to protecting your interests, as well as professional relationships, when dealing with non-compete agreements. The Denver lawyers at Lohf Shaiman Jacobs Hyman & Feiger PC are experienced employment law and contract attorneys who can help you with any aspect of non-competition agreements, including non-solicitation agreements and confidentiality agreements. Diligent and resourceful, our lawyers are ready to explain how to protect your rights and interests with regard to a non-compete agreement. We are also ready to help you take the necessary action to resolve any legal issues arising from a non-compete agreement. Govern the relationship between two businesses involved in a transaction (like the sale/acquisition of a business or providing business-to-business services). Duration or end date – What is “reasonable” can vary by situation. Generally, however, the duration should not inhibit an employee’s right to earn a living or extend beyond a period after which the protected information is no longer valuable. Geographical scope – A non-compete agreement has to define the geographic limits within which working for a competitor would be prohibited. For example (and depending on the circumstances), it may be reasonable to prohibit someone from working for a competitor in the same city or county (for a reasonable period of time); it may, however, be unreasonable to prevent someone from working for a competitor in another state or abroad. Scope of professional activity – In other words, a non-compete agreement cannot provide a blanket restriction prohibiting an employee from engaging in any or all professional activities related to an industry. The limits generally have to be specific without unreasonably restricting the professional from going on to earn a living after parting ways with the employer. Please be aware that these are not necessarily the only requirements that must apply in order for a non-competition agreement to be enforceable. An attorney can provide you with more specific advice regarding all of the requirements necessary for valid, enforceable non-compete agreements in Colorado. When Are Non-Competition Agreements Unenforceable in Colorado? The employer changing the nature of the employment relationship (e.g., changing an employee’s status, title and/or compensation) without updating the non-compete agreement. Drafting valid non-compete agreements that fully comply with Colorado laws. We are experienced at representing employees, independent contractors, businesses and other interested parties in all phases and aspects of non-compete agreements. For exceptional representation at any phase of a non-competition agreement, contact a Denver business lawyer at Lohf Shaiman Jacobs Hyman & Feiger PC. Call (303) 753-9000 or email us (using the contact form above) to set up an initial consultation and get clear answers about your rights and legal options. Known for our integrity, skills and record of success, our Denver attorneys have decades of experience effectively resolving various contract-related issues for clients, including those arising from non-competition agreements. You know what to expect as you proceed. You receive personal service and exceptional representation. From offices in Denver, we are dedicated to providing the highest quality representation to clients throughout Colorado.